You spent days finishing, mixing and mastering your latest track… your upload to SoundCloud just hit 100%. It’s done! Your new tune is finally ready for the world! Now it’s time to show off your music promotion skills. You need to get your track heard by as many real fans as possible. What do other artists do that’s working for them? We reached out to our community of creators and just asked. Here are some of the top music promotion and marketing hacks artists use – directly from the source. Together we create! And together we promote! 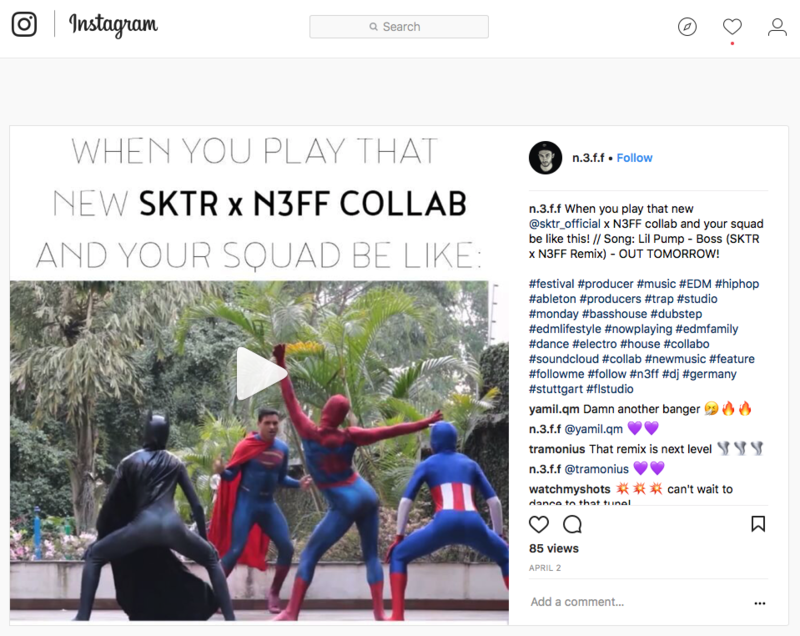 “Instagram is an extremely powerful promotional tool, and I’ve found an effective way to promote tracks and quickly build a genuine fanbase on social media without spending any money. The great thing about this method, is that your track’s plays and Instagram following will continue to grow as long as you continue to do the work. including a profile picture and professional username. But that’s all you need. This is the easy step. Create a 1-minute long video for Instagram featuring the best part of your track, using the album cover as the background. This is very simple and can be done in any free video editing software iMovie or Windows Movie Maker. If your able to do more advanced video editing (visualizers), then even better, but it’s not at all necessary. Post the video on your Instagram, making sure the thumbnail shows the album art. For your “website” in your Instagram bio, link to your track and make sure to direct people to the link in your bio at some point in the description of your video. The goal here is to make discovering and finding your track as easy as possible. When people open your Instagram profile (which I’ll get to later), you want them to see your latest post as a video with an album art, open the video and hear the best part of the song, and be able to click the link in your bio to get to the rest of the song if they like it. This is where the work comes in. The goal here is to discover people on Instagram who like music similar to the track you are promoting and the video you created. There are a few ways to do this. When you find these people, go into their profile and connect with them personally. Like their latest picture, post a unique comment, and give them a follow. When you do this, there is a high chance that they will notice and at least click on your profile to see what you’re about. When they do this, they will see you are an artist and they’ll be able to easily listen to your new track on your latest post. If they like the song, they’ll click the link in your bio and access your track. If you’re going through a list of followers, or posts under a hashtag, this process does not take much time. You can easily connect with at least two people every minute. It’s surprising how high of a turnover you can get by establishing a quick personal connection and creating easy access to your song on your page. I created a remix of a track by Kayzo. I followed the first step and made a 60-second clip featuring my favorite part of the remix, and made sure the background showed an album art that was a variation of the original track’s art. I posted this video on Instagram, and I also posted in my bio about “my new Kayzo remix” and included a link to the track. At first glance at my profile, it was very clear that I had made a Kayzo remix and you could quickly listen to it on my latest post. 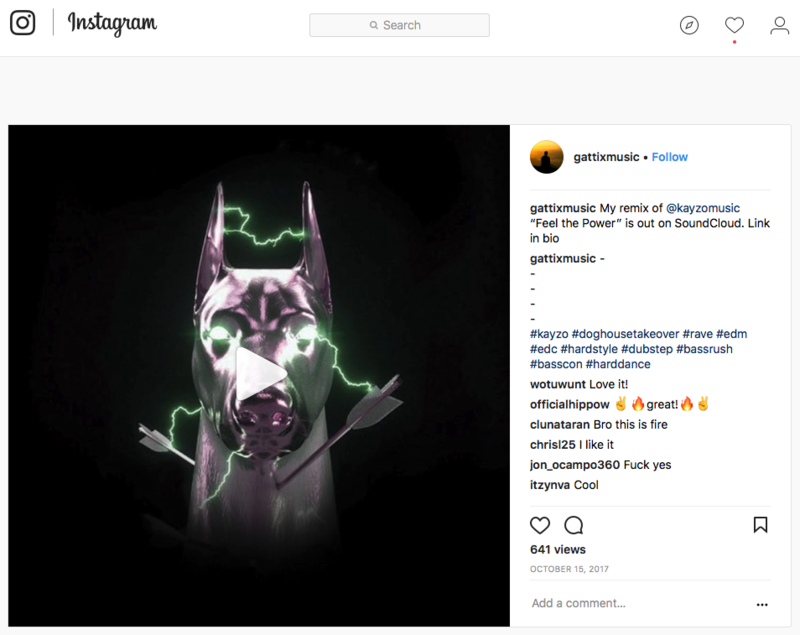 In the comments of my video, I posted a number of hashtags relating to the genre, Kayzo, and even Kayzo’s latest shows and festivals he performed at. I began browsing the #Kayzo hashtag and opened every picture or video that people posted at his shows. I liked the post, made a genuine and unique comment related to the post, and followed the user. I also went through Kayzo’s followers and did the same thing. NOTE: This example is in the case of a remix. If the track is an original, just repeat the same process using similar artists to yourself. This track was one of my first releases, and I began this promotion with virtually no followers. I connected with Kayzo’s fans using this method for an hour or less a day. After two weeks, I had grown my Instagram from ~0 to ~600 followers and my track had gotten over 2,000 plays. “We use playlists and reposts to get ‘related plays’. It’s really two separate tricks. 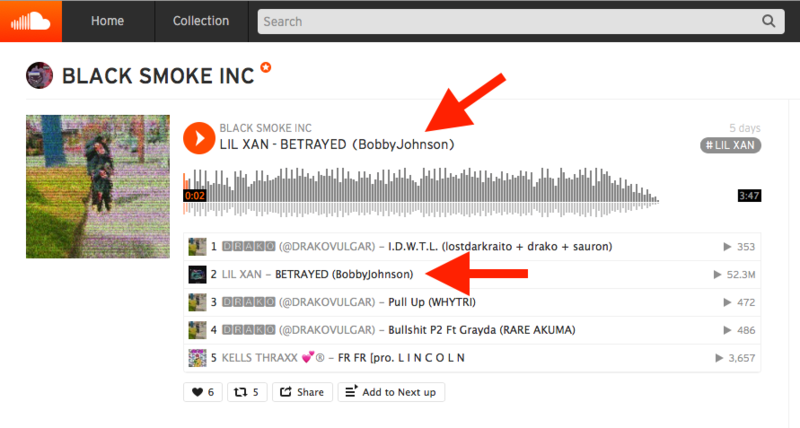 Put your song posted on SoundCloud in a SoundCloud playlist with the title of a popular song and artist. This will bring in lots of traffic because if I can make a playlist with the same name as Rich The Kid’s new tape then I’m gonna be getting some of his traffic on my tracks from SoundCloud Search. I repost my song to another SoundCloud channel I own and use for reposts. Then I repost a popular Billboard song right afterwards. Now I will be getting ‘related plays’ off of the popular song because the first track to hit the feed of my followers is the Billboard song and then my song will be second. If the followers keep listening through the Billboard song, my song will start playing automatically right afterwards, giving me ‘related plays’. It’s been 4 months and I don’t spend $. I use my brain. I already got thousands of plays from posting correctly, reposting when people drop songs, making playlists when labels drop tapes, just making it easier to get related plays through SoundCloud’s Search or through listening. Your song will come up way more with this trick. “My trick is to layer your new song on a funny dance video, shuffle video or a video which attracts attention. Dance videos can be bought for $5 on fiverr or similar platforms. I use a video editor like Premiere Pro to layer my songs on those videos. 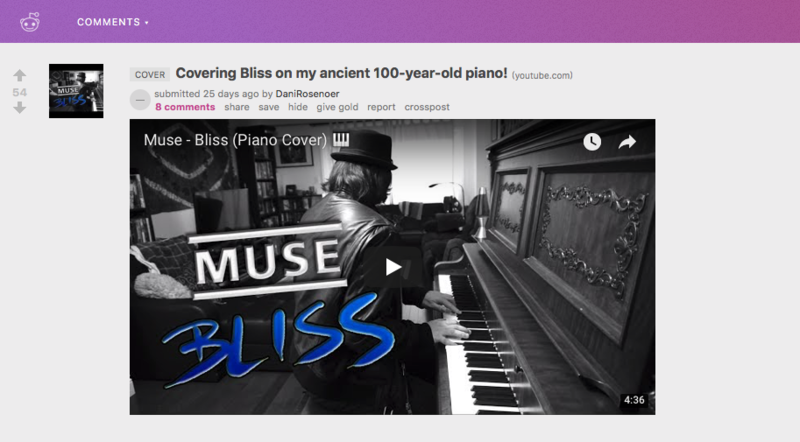 “Post your creation to Reddit, with an engaging descriptive title, on a *relevant* subreddit page. Important: Make sure to engage with the site’s rules and alternate the sources you share from (not just your main channel that corresponds with your brand name). It’s best not to share repeatedly from the same YouTube account and just ‘shamelessly’ self-promote all the time. Some of the content you post should be interesting material with variety and some pages will not tolerate repeated self-plugging so be careful and check the rules of each subreddit you post in. Now over to you: What is your ultimate music promo hack? Post it in the comments below and let’s keep this list growing as a resource for artists around the world. Thank you all for joining!